This is Eco Friendly spacious room with an Aesthetic appeal. 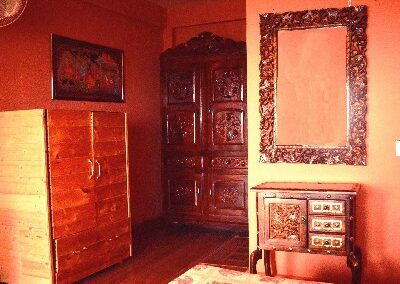 The room decoration is best, LCD TV, cozy beds, heater, running hot and cold water to name a few.Room service (8am-9:30pm)etc. Relax in this spacious room with spectacular views of the surrounding snow capped mountains.